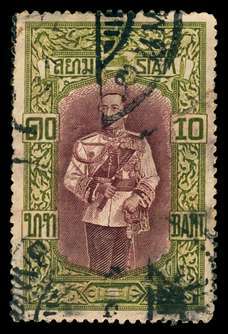 Scott #90, 1905 1a on 14a King Chulalongkorn. 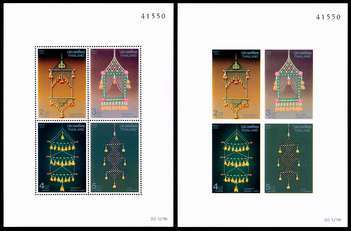 Used VF. 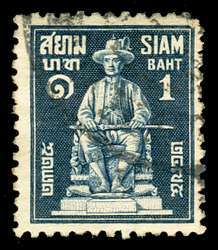 Nice blue cancel. 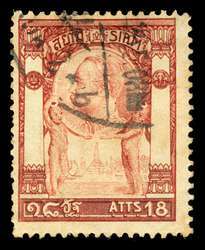 Scott #103, 1908 18a red brown King Chulalongkorn. Used Fine. 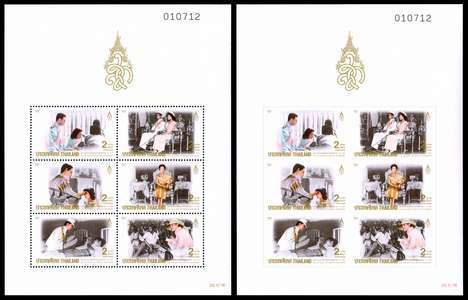 Scott #105, 1905 1t deep blue and brown orange King Chulalongkorn. Used VF. 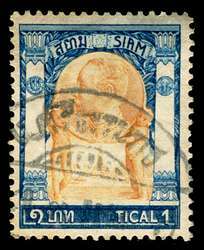 Scott #153, 1912 3b yellow green and blue black King Vajiravudh. Used VF. 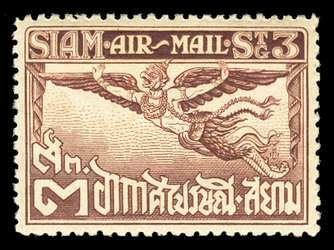 Scott #174, 1912 10b olive green and violet brown King Vajiravudh. Used VF. 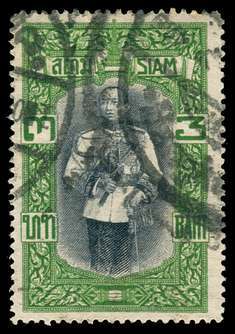 Tear at right. 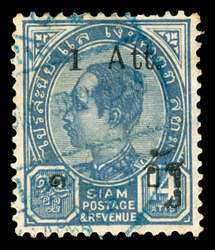 Scott #232, 1932 1b blue black Statue of Chao Pya Chakri. 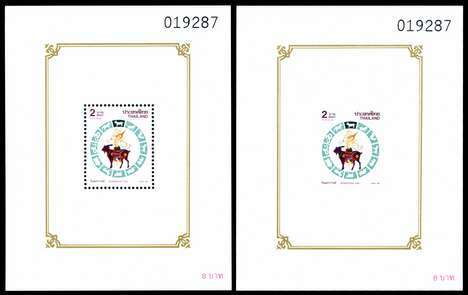 Used F-VF. 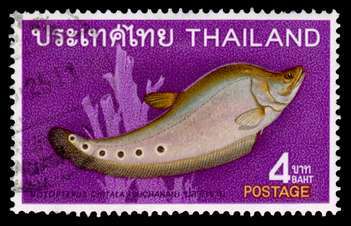 Scott #508, 1968 4b multicolored Featherback Fish. Used VF. 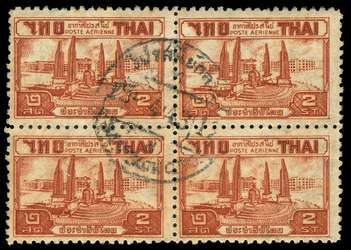 Scott #C15, 4-Block, 1943 2s dark orange brown Monument of Democracy, Bangkok. 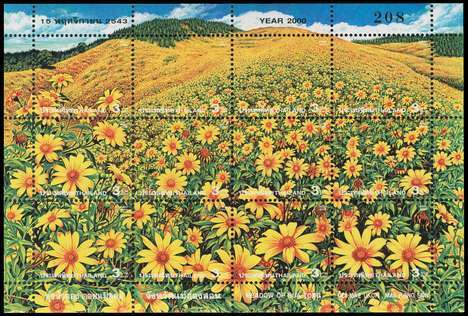 Used F-VF.